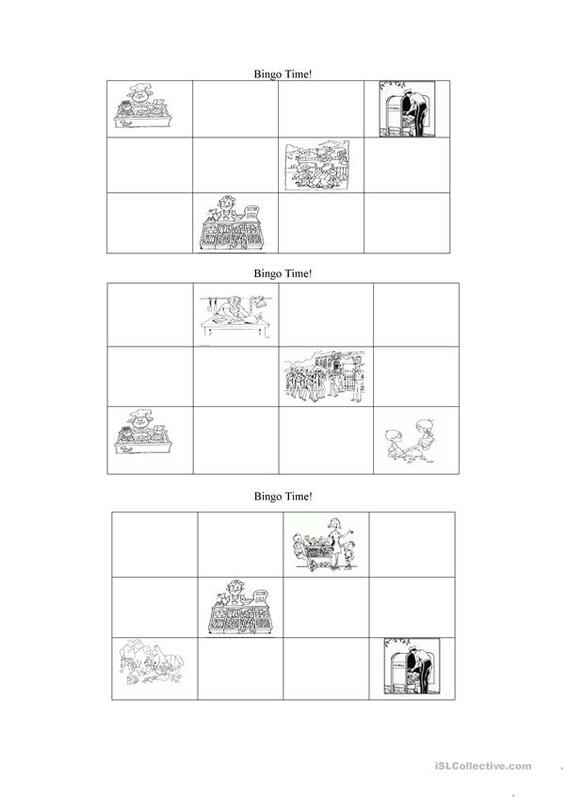 This is a set of 3 charts for sts to draw different shops/places in their town. Once all your sts have their own card, let`s play a bingo game!! The above downloadable teaching material is recommended for elementary school students and kindergartners and nursery school students at Beginner (pre-A1) and Elementary (A1) level. It is aimed at practising Nouns in English, and is excellent for improving your pupils' Listening skills. It is focused on the topic and words of Places.